Here's a language arts worksheet that's sure to boost reading comprehension and critical thinking skills. After reading a description of Angelique, kids are asked to write about how she would act in the given situations. Not only does this exercise improve reading skills, it also gives kids practise empathizing with someone who may be completely different from them! 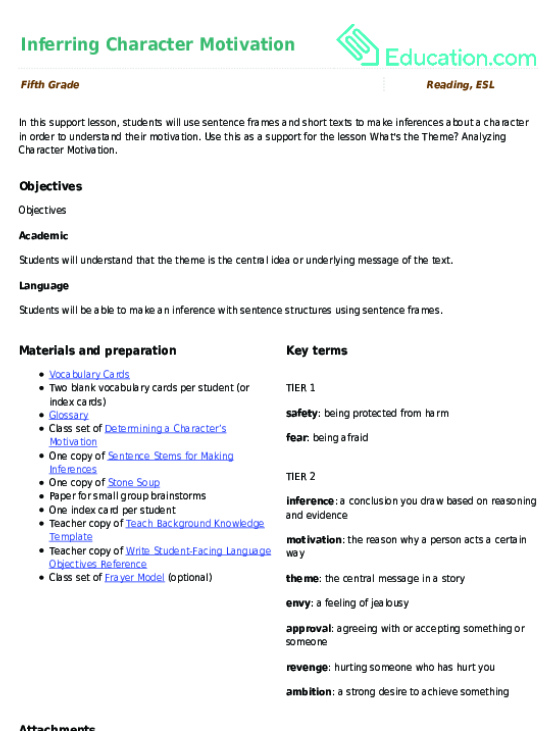 Develop your students' writing skills with this character and setting worksheet! Our writing worksheet guides your budding film buff as he explores theme and character development in the movie Ender's Game.